Welcome to a Playsign Co-Design session in City Space at Oulu center, on Friday the 6th of April, 14-16. This time the focus is not on some city area or a new building complex, but on Playsign tools themselves! So co-design of city co-design tools. Toni begins by opening up the motivation behind Playsign, largely inspired by iconic city and society games such as Sim City, Civilization but on the other hand street-level city simulations like Grand Theft Auto. Then the focus is on drafting and dreaming about how similar systems, but tailored for real-world development use, could serve us to develop and manage cities and human life now. We’ll also describe how Playsign has been used so far for an open discussion on strong and weaker points, both cheers and criticism are welcome! 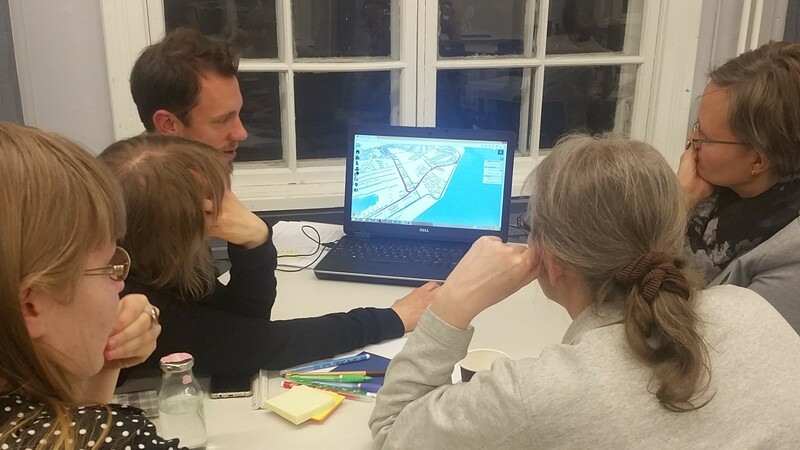 The event is a part of a Masterclass series on city development, kickstarted by Johannas Helama last week on participation in city development. For more information, the Facebook event is at https://www.facebook.com/events/2027917934098607/ or you can reach Toni by email (toni at playsign.net) or by phone +358-40-7198759 . You are most welcome, and there is coffee and snacks The address of the new experimental Kaupunkitila place (city space in Finnish) is Hallituskatu 9, Oulu.